Your doctor waves a hand-held scanner over your body and gets detailed, high-resolution images of your internal organs and tissues. Using the same device, the physician then sends gigabytes of data instantly to a remote server and just as rapidly receives information to make a diagnosis. Integrated circuit researchers at the University of California, Irvine have created a silicon microchip-based component that could make these and many other actions possible. Known as a "radiator," the tiny gadget emits millimeter-wave signals in the G band (110 to 300 gigahertz). 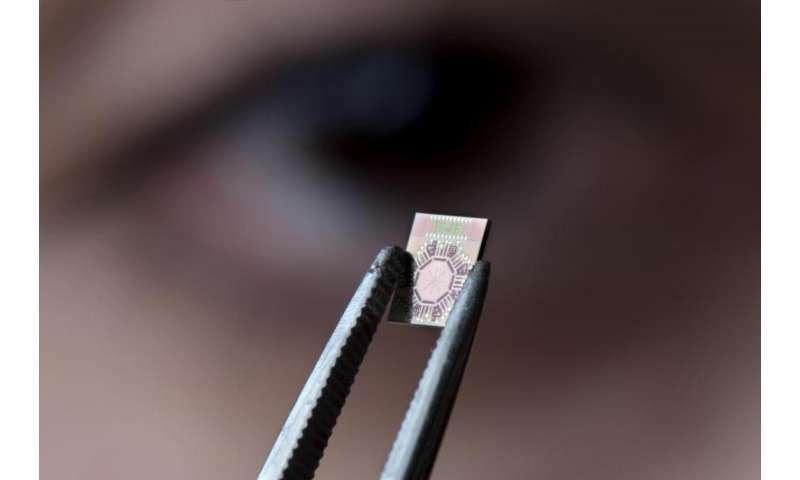 Waves of this frequency easily penetrate solid surfaces and provide extremely sharp resolution, enabling new, more effective methods of biomedical and security scanning and imaging. The chips also can perform a key role in point-to-point wireless communication. The UCI engineers who created the technology said that tests in their lab have shown it to have the highest power and efficiency ever recorded in such a radiating element while exhibiting the lowest noise (interference from other sources of radiation). UCI professor of electrical engineering & computer science Payam Heydari, lead investigator on the project, will present information about the development at this week's IEEE International Solid-State Circuits Conference in San Francisco. "We're very excited about the successful design of this radiator because it represents a complete breakthrough," said Heydari, a 2017 IEEE Fellow. "We're offering an entirely new kind of physics, a new kind of device really. Our power and efficiency is an order of magnitude greater than other designs." Through a process of trial and error, he and members of his UCI lab invented a tool that performs three crucial functions, he said. It combines power from multiple amplifiers; it modulates that signal to a desired frequency setting; and it radiates it out in waves that are used to see, sense or communicate. "By making a single device that provides a multitude of operations, we've gotten rid of all the interstage, highly inefficient systems found in other radiators, and as a result, we can achieve higher power output," Heydari said. One of his lab's graduate students, Peyman Nazari, designed the device as an octagonal semiconductor chip with a unique cavity structure that allows for the emission of circularly polarized radiation. Most transmitters now generate linearly polarized signals, which can get "lost" when antennas and receivers are out of alignment. Emissions from one of the UCI radiators, if you could see them, would appear as tiny spinning tornados. Beams of this shape are particularly effective at penetrating solid objects and providing detailed pictures of what's inside. Heydari said his group's invention will be particularly beneficial in biomedical applications, as it will give doctors a way to differentiate tumor masses from healthy tissue. It could also be used in genomic research, equipping scientists with an instrument that can be so precisely tuned as to enable the excitation, or lighting up, of individual proteins. But the new radiator can do a lot more than facilitate scanning and imaging. According to Heydari, it could be the key that unlocks millimeter-wave transmission as part of the fifth-generation wireless standard now in development. In addition, the tiny yet powerful chips can be embedded virtually anywhere. The internet of things will rely heavily on machines, buildings and other infrastructure being equipped with sensors and antennae. Driverless vehicles will only be possible if cars and trucks can detect each other. 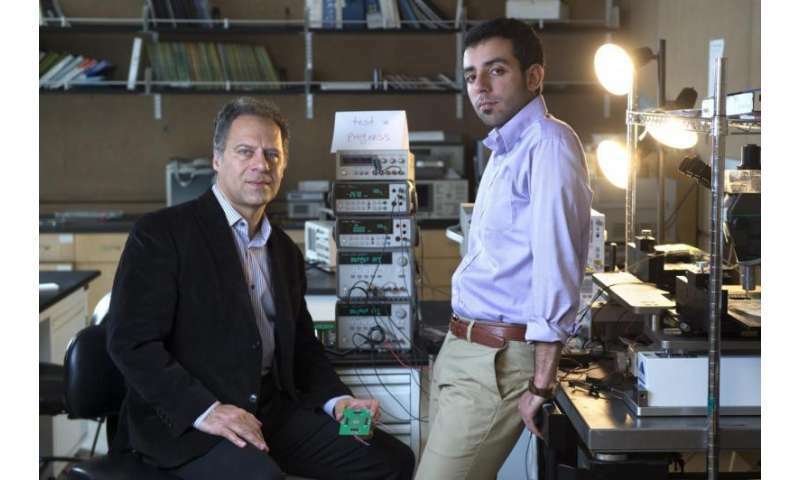 "By using this millimeter-wave technology, cars all of a sudden become super-smart processing systems," Heydari said. "Vehicles will be able to communicate with one another, and radar capabilities will be enhanced, greatly improving blind spot detection and collision avoidance." Cars that can see around corners. Lets see a human do that. I hope this technology develops. I am so glad that we have MRI machines, however they are soooo expensive, and we need something that can peer inside the body better than an ultrasound and cheaper than an MRI. I totally agree with that. If a hand held scanner can be built using the tech it would be a major advance for a lot of the medical fields. If they can be built and sold for less than $500, I can see where a number of different professional jobs would also have uses for them.